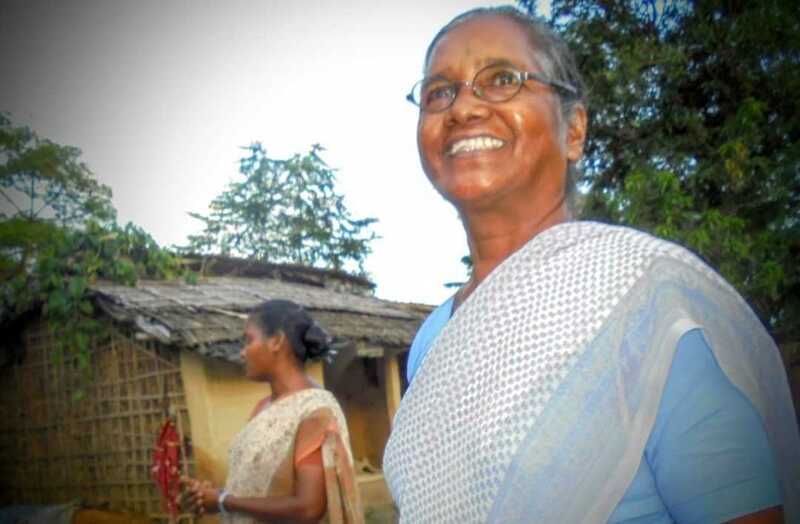 Irresponsibly regarded by many as the lowest “untouchable” caste, Sisters are working for social justice with the Musahar people. In their regular village visits, Sisters Cornelia Ekka and Rita Barla assess the needs of people, especially young children. Around 50 Musahar (literal meaning rat-eaters) families are settled in Sainy Tola, under Narsing Gavisa close to Navjyoti, Laukhi, in Nepal. The Musahar group is one of the most neglected groups in Nepal and for that matter in India too. Economically stifled, the literacy rate is low among them. They live in very small huts and depend on daily wage work for their livelihood. They generally can’t afford to send their children to school even though parents have the desire to educate their children. 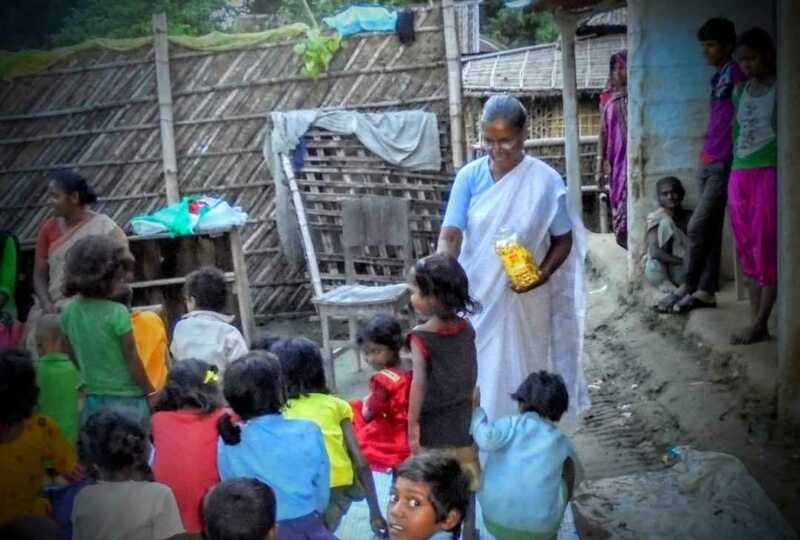 The Sisters of Charity of Nazareth have decided to open a non-formal center for the children and a coaching center for those few who attend the nearby government school. Musahar live simple lives. Their readiness, positive attitude, and promise to work hard encouraged the Sisters to find a teacher for the children. 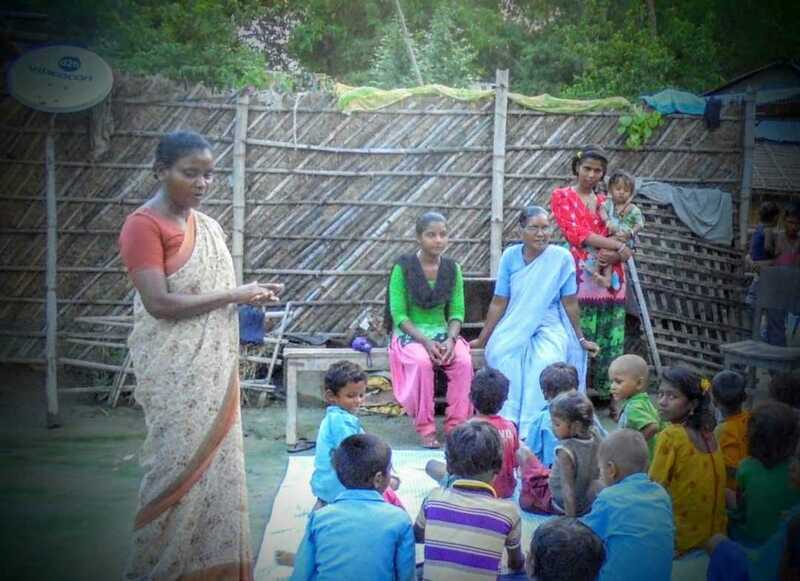 People of upper castes did not want the Musahar children taught in their village. One family has generously offered their courtyard to have class for the time being. On Sept. 12, 2016, Sisters officially opened the first center with 40 children. Around 15 parents were also present on the first day. They began the day with a prayer and lighting of the lamp. Sister Rita welcomed everyone. She introduced the teachers to the students and parents. Teachers explained to the group that the purpose of the program is to educate their young children, not religious conversion. Sister Cornelia also encouraged the people saying that the Sisters would like to bring them up through education. She asked them to attend classes regularly without any fear. Parents and children cooperated very well. They are happy to learn and change their lifestyle. At the end, Sisters Cornelia and Rita distributed sweets which all of them enjoyed. “We were touched by their respect, interest and support. Their joy and interest encourage us to go ahead,” says Sister Rita. Congratulation to you. I am really very happy about this process of reaching to the less privileged one. You are in my prayers. May God bless you, the children, parents and all your effort. Congratulations to both of you Corne and Rita for the wonderful beginning and dedicated work that you are rendering to the most needed people of the area.My prayers are with you. What a beautiful beginning to a much needed a much needed ministry. Mother Catherine must be so proud of you! Dear Corne & Rita, Congratulations! Keep up the very good work. You are really serving God’s people. May God bless you and your hard work. Sisters, you are the Hands and Feet of Christ to the neediest group of people. Thank you for your loving ministry to them and for representing all SCNs and Associates. I am so very privileged to call you my sisters. You are indeed the face, hands and feet of Christ. C thank you for bringing our SCN community to these people who are beloved of God. Congrats sisters it is indeed great that we have reached out to places and people where and whom others have not.I am so proud of you. So happy to see how well the people are responding you both of you! Keep up the great ministry, it was worth all the hard work to get set up. My dear Sisters , we are so proud and grateful for your outreach to these children and their families. May they learn well and begin to be encouraged to appreciate their self worth. If I were younger, I would love to be working with you. You are pioneers in God’s work with those families. You have been blessed with the care of the poor.